With only three months to go before a wedding, the mother of the bride has most likely already bought her dress and is in the alteration stage. For me, I have had to put so much on hold to tend to the design needs of our amazing Headpiece.com clients. Now I think it is time to begin designing my dress for October fourteenth. The first step in designing my dress was a having a dress form made to my sizing. I went to Wolf Form Company just in time. Wolf Form was once a leader in the industry, making forms for just about every designer on 7th Avenue. With the decline in the U.S.A. garment industry and the influx of dress forms coming in from China, they are slowly winding down their business. I was happy to find a handmade quality dress form in my size and offered a private tour of their production facility. It was so interesting to me, but sad at the same time because they are no longer bustling with orders from the fashion industry. The dress form beginnings come from plaster cast molds. Some of the molds are nearly 100 years old. The next stage is similar to papier mâché. The forms are then baked in an oven and cooled overnight. I love this picture! ---Forms, measurements, pencil markings, arms...no arms. My tour of their production facility was way too short. I would have loved to have been locked in here overnight to see if the forms actually come to life when the lights are out. Once the dress forms are perfected, they are ready for layers of batting, cotton knit, and the final covering stitched from the finest quality linen. My dress form was perfect! Now it is time to put it to use! How does a mother of the bride, who is also a designer, begin to create her wedding day look? There are many ways to begin. I began by sketching designs. All were beautiful, but none filled my heart. I struggled with where I wanted to go with my dress design. I found myself falling back into my days as a design student at Fashion Institute of Technology looking for inspiration. I knew where to go to rediscover the elements of design I have always loved. I cherish vintage photos and vintage fashion. With a designer's eye, I often look to the beauty of the past to create the style of the future. Pictured above are two of my favorite vintage dress styles from the Hunt family. I can visualize making both styles current for today's wedding fashion. I am totally in love with the blouse and skirt worn by Jeff's grandmother and the tiered dress worn by his mom. I would wear his mom's dress today if I was blessed to have it in my closet. With so many strapless styles flooding the pages of fashion magazines over the years, I feel much has been lost in the world of fashion design. Some classic design elements, such as sleeves and collars, have been brought back to the fashion forefront through the weddings of Kate Middleton and her sister Pippa. Jackie Kennedy will always be my greatest fashion inspiration. I was able to capture much of the fashion influence I was searching for, all in one place---my favorite Instagram...Elegance Personified. Buttons, sleeves, a collar, and lace all in one garment...this is my ideal in classic design. Brielle could wear this today for her wedding. It is timeless!!! Luxurious fabrics, couture seaming, and handwork create texture and are the formula for a design of the century. Being in bridal accessory design, it isn't often that I do full illustrations for my clients. Usually it is just a quick sketch with a pencil. I loved Fashion Illustration at my alma mater, Fashion Institute of Technology. Let's get going...we have a wedding in three months and I have nothing to wear! I sketched a few croquis in different views to begin to put my ideas down on paper. I love the idea of a mandarin collar! Pippa took some heat for her recent wedding gown design. Many in the fashion world said they were disappointed---they expected more. I was thrilled to see a lace collar on her gown. We can always count on royalty to bring back beautiful classic fashion elements. I also love texture in anything I design, whether a hair accessory or an evening gown. Hand-stamped silk floral detail may be something I can't live without on Brielle's wedding day. ...and then there is the vision of Jackie Kennedy. My sketches weren't enough to zero in on my mother of the bride wedding day style. 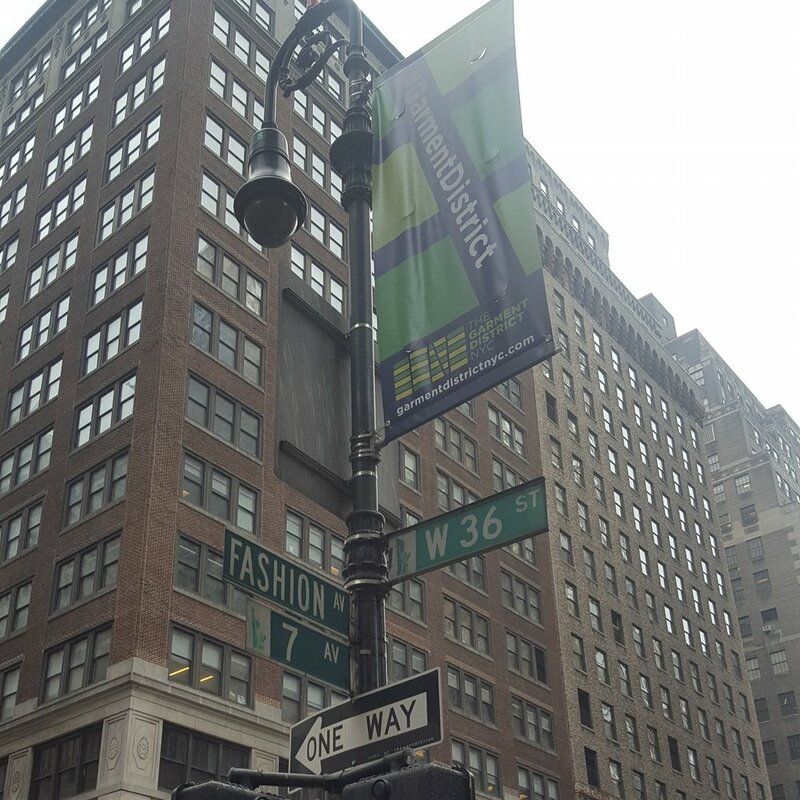 Heading to the heart of the garment district would most certainly bring all of my ideas together. I knew my fabric choice had to be first this time, and not my sketch. I met with several of my fabric vendors to find the perfect fabrics. What color silk should I choose? I am a lace lover---end of story! But wait...I love this Swarovski crystal button. Maybe I will create my dress design around this button! There are so many exciting things ahead! So many projects are in the works..all made by hand. The next three months will be crazy! I hope everything comes together and God blesses me with the gift of health, joy, and the never ending creative mind.